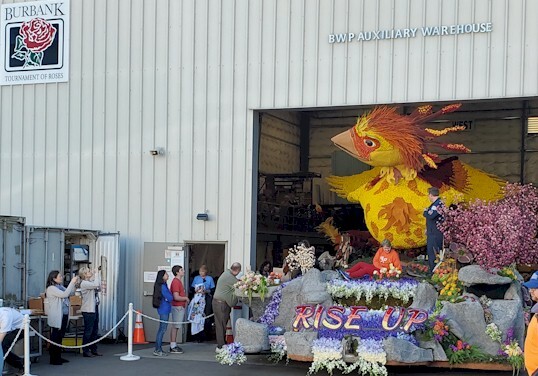 "A Stompin' Good Time" is the name of the 2019 Burbank Rose Parade Float. BurbankFloat.com is an informational website for and about the Burbank Tournament of Roses Association in Burbank, California. BurbankFloat.com is a member of the Moablive.com group of websites. Webcam not available in this browser. Please visit the Burbank Tournament of Roses Association webcam page to view this stream. In Burbank... It's "A Stompin' Good Time". With pleasure, we present the Original "You know you're from Burbank if..."